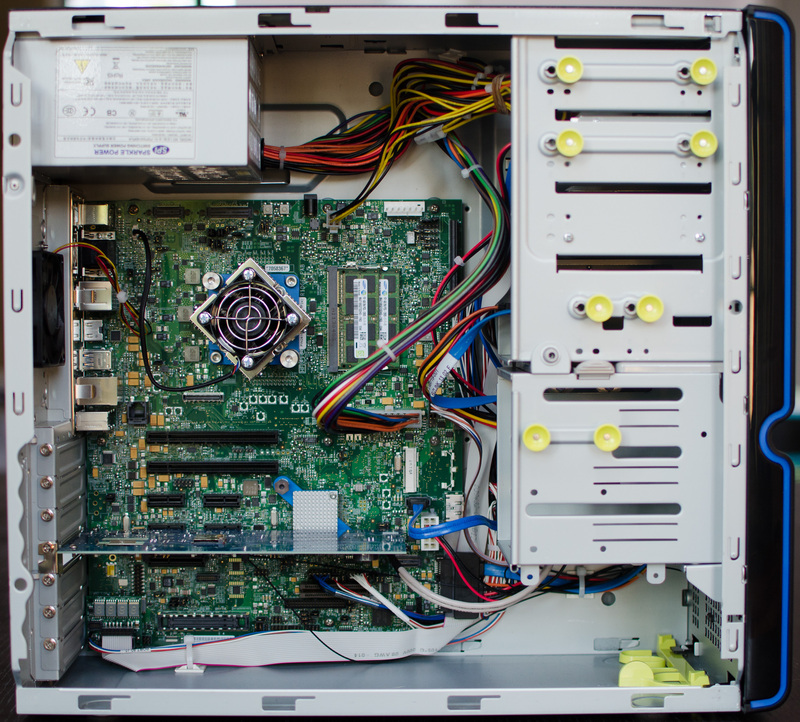 What may look like a funny mid-tower from a few years ago is actually home to one of Intel’s mobile Customer Reference Boards (CRB). 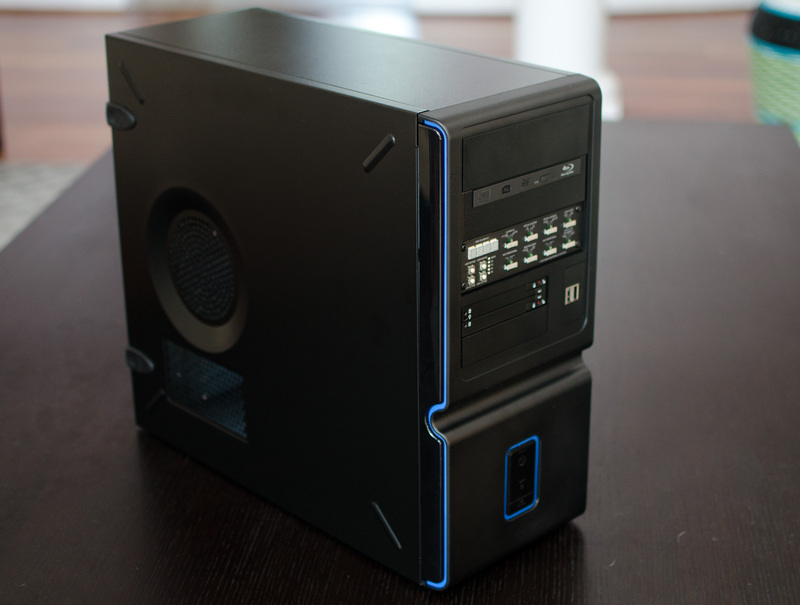 Although the chassis is desktop-sized, everything inside is optimized for mobile. It’s just easier to build things larger, especially when it comes to testing and diagnosing problems. The silicon on-board is a 47W Core i7-4950HQ, the lowest end launch SKU with Iris Pro 5200 graphics. The chassis is obviously overkill for a 47W part, but the performance we get with this machine should be representative of any i7-4950HQ system with a cooler capable of dissipating 47W. 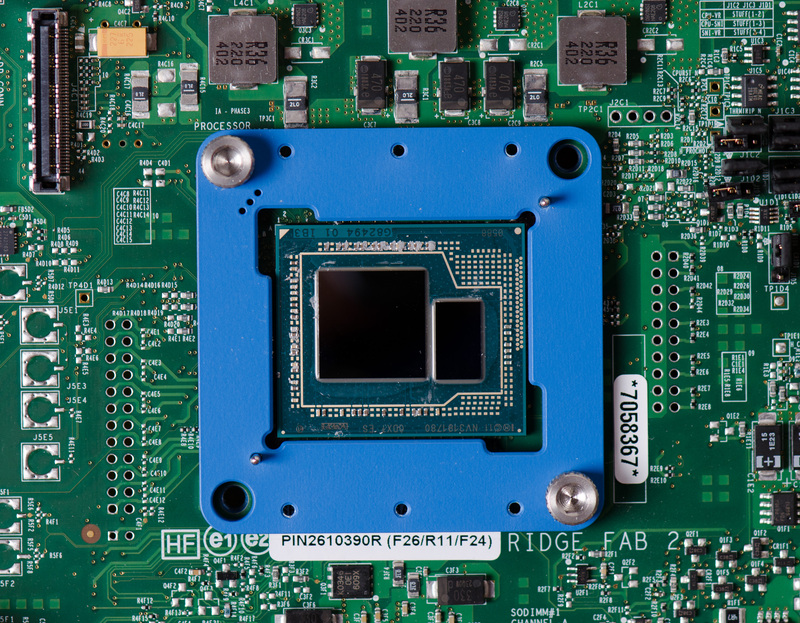 If you read our Haswell CPU review you’ll know that Intel tried to be stingy with telling us die sizes and transistor counts for the bulk of the Haswell lineup, electing to only give us data on dual-core Haswell GT3 and quad-core Haswell GT2. Knowing that mobile parts ship without integrated heat spreaders, I went to work on pulling off the i7-4950HQ’s heatsink (after I finished testing, just in case). Haswell GT3e (QC) Quad-Core GT3e 264mm2 + 84mm2 ? 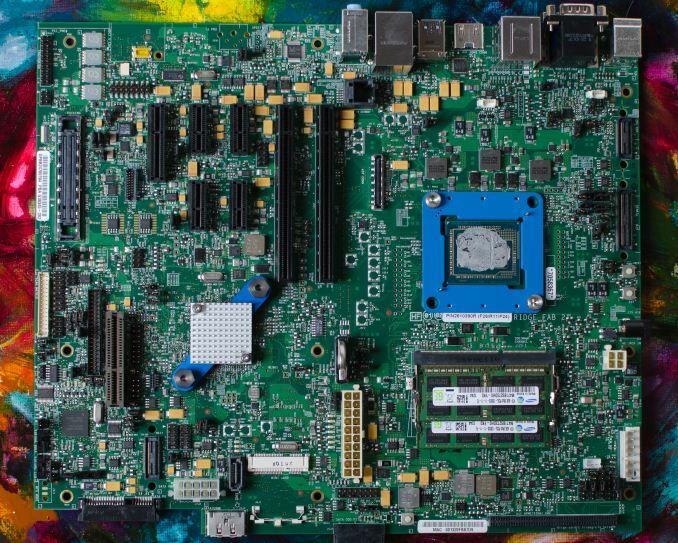 The Crystalwell die measures 7mm x 12mm (84mm^2), while the quad-core Haswell + GT3 die is a whopping 264mm^2 (16.2mm x 16.3mm). Working backwards from the official data Intel provided (177mm^2 for quad-core GT2), I came up with an 87mm^2 adder for the extra hardware in Haswell GT3 vs. GT2. Doubling that 87mm^2 we get a rough idea of how big the full 40 EU Haswell GPU might be: 174mm^2. If my math is right, this means that in a quad-core Haswell GT3 die, around 65% of the die area is GPU. This is contrary to the ~33% in a quad-core Haswell GT2. I suspect a dual-core + GT3 design is at least half GPU.